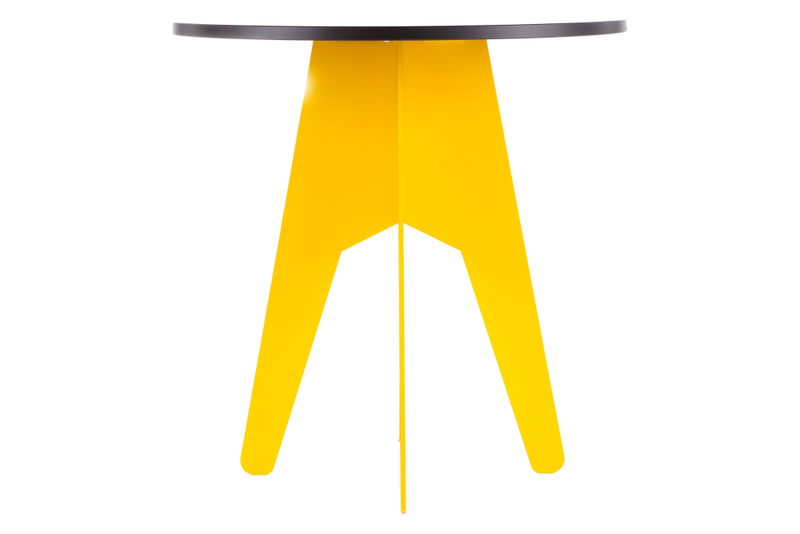 The Burgess Compact Table is a small occasional table with a bold personality. This elegant and practical table is suited to any environment; from a reception area to an informal meeting space to a modern living room. Manufactured in the UK, the Burgess Compact Table is constructed from a powder coated steel base with a compact laminate table top - a robust side table with a bold simplicity. Assemblyroom - Contemporary British Furniture and Lighting. Designed in London, made in Britain.